What comes to mind when you think about cherries? Summer, sun, and a sourly/sweet aroma in the mouth. 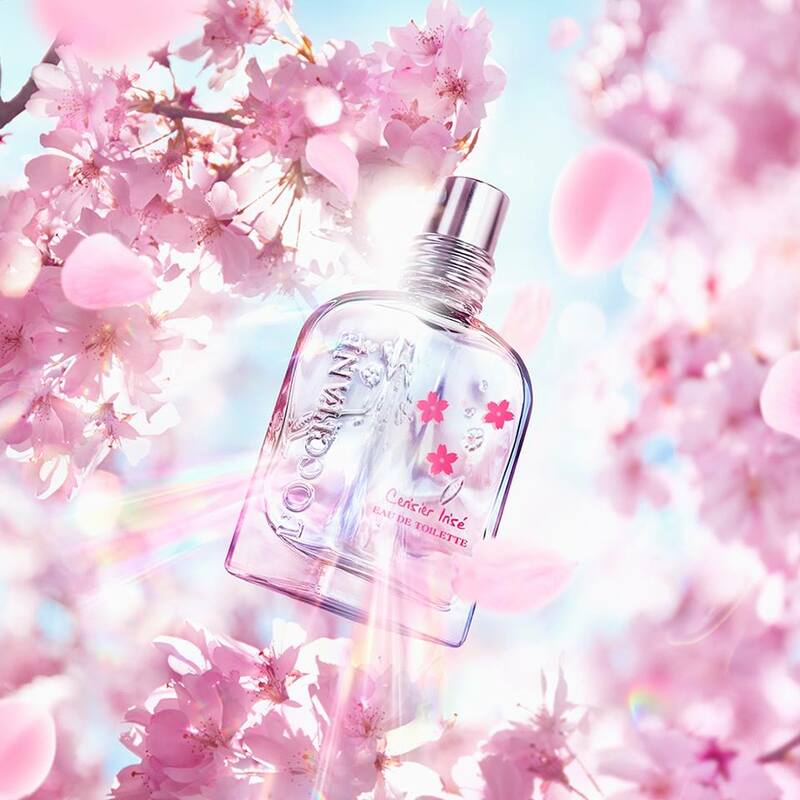 This is the exact association I have with the new L'Occitane Cherry Blossom perfume that is all about cherry extracts and cherry notes. 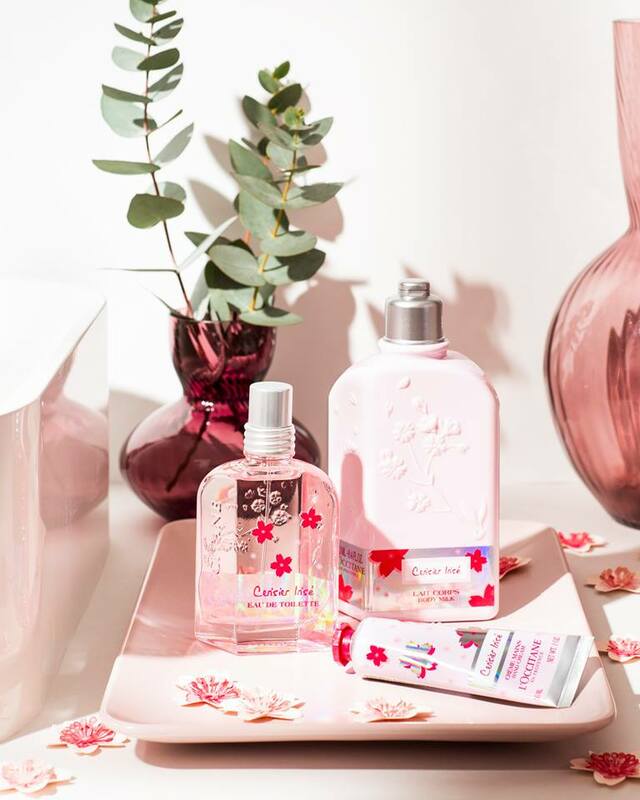 L'Occitane Cherry Blossom Cerisier Rose Eau de Toilette is a new fresh, alluring, and colorful perfume with a pure, clean fragrance to make your day more positive and bright. L’Occitane is always delighting its wearers with qualitative products and fragrances made of high-quality ingredients and very attractive bright designs. Well, I am an L’Occitane lover - I adore everything it has, especially Verbena products (they are simply awesomeee). The new perfume will make a perfect accessory for everyday use due to its easiness, lightness and gourmand aroma of cherry infusion. 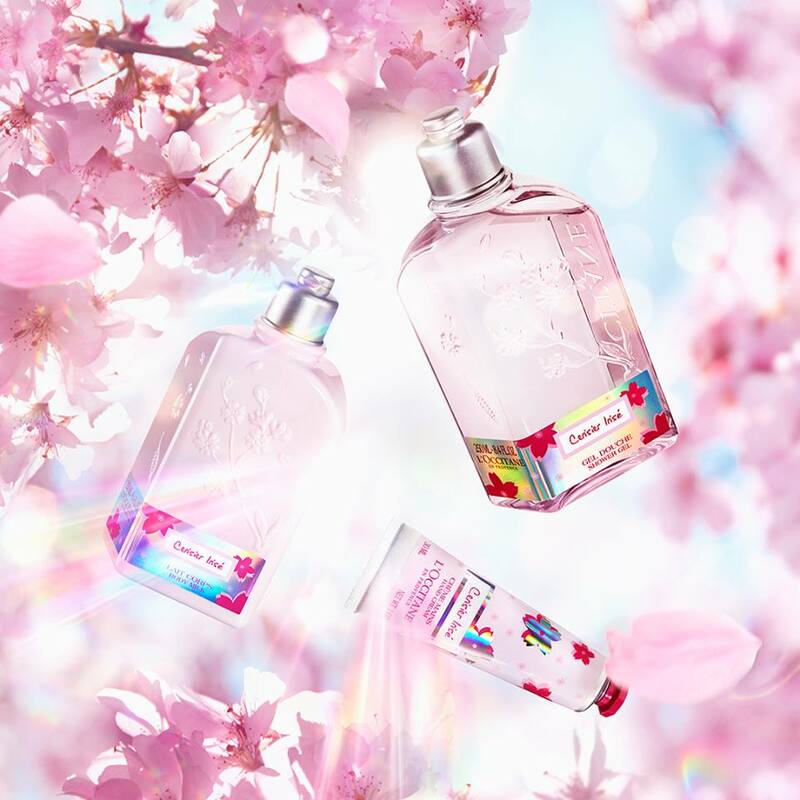 The whole collection that is due for late this month will be available in any L’Occitane store. Feel the cherry lights on you!